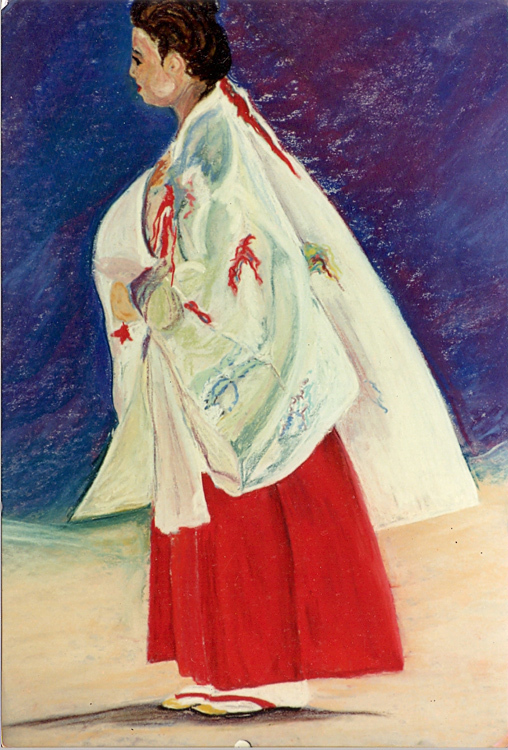 Japanese Priestess. Pastel on Sandpaper. Size 12 x 16 unframed. This product was added to our catalog on Monday 22 March, 2010.